Albion Online is a free-to-play medieval sandbox MMORPG. It is also the first true cross-platform MMO, running on different systems such as Windows PCs, Mac, Linux, Android, and, after release, iOS at the same time. Today, we'll talk about the working principle of Albion Online mobile version and how well it's going to work. Fortunately, the game's features are the same across all platforms. According to the official notes, due to the game being made with a focus on PC, the system requirements for tablets are on the higher end of the spectrum and can be found here. Also, while the game technically would run on the highest end smartphones, we do not officially support this due to the small screen size. The client of mobile game is currently roughly one Gigabyte. The update process on mobile is still somewhat lacking for those of us who have limited space but it's going to be improved that in the future. As the game gets closer to completion, the Android client can already be downloaded through the Albion Online website and is fully supported during their current beta test. Post release, the client will be added to the Google Play Store and the Apple App store. We picked a “mobile-friendly” art style from the beginning, i.e. clear shapes, colors etc. that work even on smaller displays. At the same time this style does not require a lot of resources, e.g. textures, and that is important because memory is very limited on mobile devices. Developers will be keeping the point and click/tap interface on mobile devices instead of opting for more of an on-screen joystick interface. On Desktop devices we can use more complex shaders, more detailed shadows, post effects etc, but overall the game looks the same. The general interface works well for mobile and on PC, though on mobile, your screen shouldn’t be too small. The main benefit that PCs enjoy is the use of the right mouse click and of course hotkeys. In particular in PvP combat – which in Albion is somewhat similar to combat in MOBA games such as League of Legends – hotkeys and quick reaction times can be very important. Some players are wondering what kind of data usage are we looking at for those who are on limited plans. Data usage very much depends on the game situation. If you are farming or gathering alone somewhere we are looking at 5-10 MB/hour. If you spend your time in a crowded city it can be a multiple of that. For users that have alternate devices, like the Kindle Fire, which runs a version of Android, will side loading be an option, and right now the developers only support side-loading, Albion is not yet available in the Play store. There is no final decision on this but if there is a demand, we can imagine continuing to support side loading-even after launch in the Play Store. It can be foreseed that PC players having a significant advantage over mobile users in terms of PvP. Due to mouse controls being more accurate than touch, and because they can use hot keys. That’s why most people will switch to PC for PvP action, while often doing the quieter tasks, such as farming, crafting, trading or even PvE, particularly expeditions, on mobile devices. Remember that the Android version is available during current beta test. 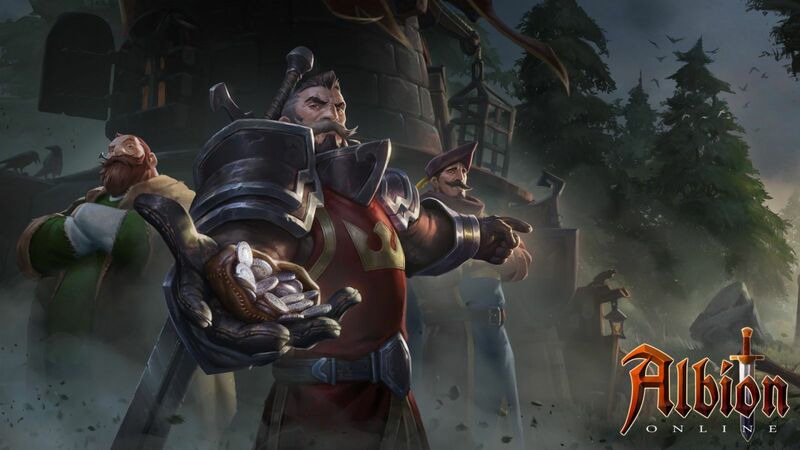 Then, to check more details of Albion Online mobile client, stay tuned at www.upalbion.com where provide cheap albion online gold / silver / power leveling.